Jobs Description: PS Health (Primary & Secondary Healthcare Department) Jobs January 2019 are listed below in our site. 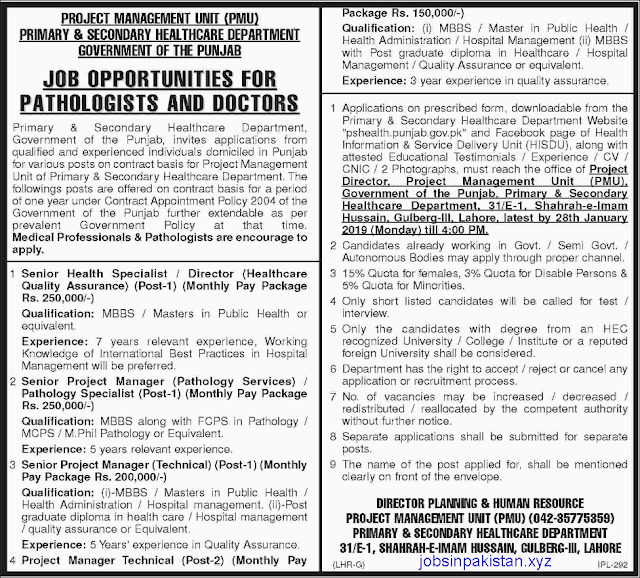 The Government of Punjab recently announced an advertisement for Jobs in Project Management Unit in Primary & Secondary Healthcare Department. 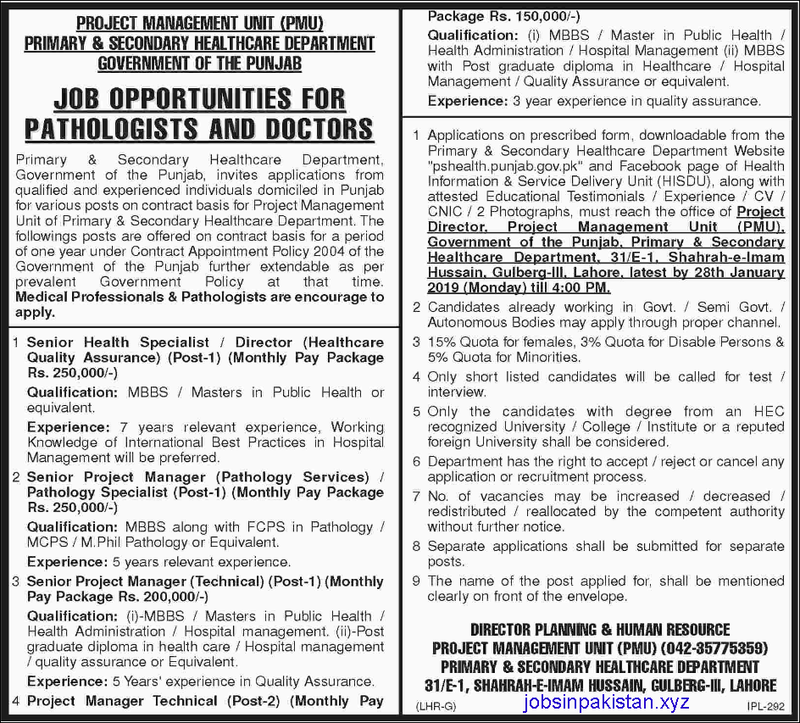 Primary & Secondary Healthcare Department (Govt of Punjab) has required the applications for the following jobs. How To Apply: Application form is available on the Primary & Secondary Healthcare Department (Govt of Punjab) official website. The interested candidates may send their application forms to PS Healthcare Department Lahore.